The report in the New England Journal of Medicine found that 18% of smokers who switched to battery powered vaping devices were able to steer clear of combustible cigarettes for one year, compared to 9.9% of people who relied on nicotine replacement therapies to quit. "This is the first trial to test the efficacy of modern e-cigarettes in helping smokers quit," said lead researcher Peter Hajek, a professor at Queen Mary University of London. "E-cigarettes were almost twice as effective as the 'gold standard' combination of nicotine replacement products." The trial randomly assigned 886 people who sought help to quit smoking in Britain to receive either a three-month supply of a nicotine replacement treatment of their choice - such as patches, gum, lozenges, sprays, inhalators, or a combination - or an e-cigarette starter pack with one or two bottles of nicotine-containing liquid. "While e-cigarettes are 'safer' than traditional cigarettes, they are not without risks," wrote Belinda Borrelli, professor of health policy at Boston University Henry M. Goldman School of Dental Medicine, and George O'Connor, professor of medicine at Boston University School of Medicine. The ongoing vaping habit among those in the e-cigarette arm of the study "raises concerns about the health consequences of long-term e-cigarette use," they added, noting that "e-cigarette vapor contains many toxins" though the levels and their effects are generally considered to be lower than those coming from cigarette smoke. 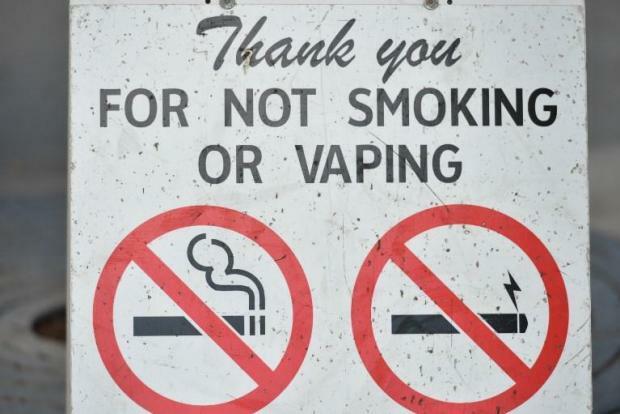 Another concern is vaping's popularity with youths, as America grapples with a 78% surge in e-cigarette use among high school students from 2017-2018, which the US Surgeon General has described as an "epidemic." "Adult use may not only expose children to e-cigarette vapor but also models addictive behavior," and boosts the risk that kids will take up combustible cigarettes themselves one day, the editorial said. "The UK specialist stop smoking services will now be more likely to include e-cigarettes among their treatment options, and health professionals will feel more comfortable in recommending e-cigarettes as a stop-smoking intervention," said study author Dunja Przulj from Queen Mary University of London. "This may ultimately further accelerate the reduction in smoking and in smoking related diseases." According to Martin Dockrell, tobacco control lead at Public Health England, "this landmark research shows that switching to an e-cigarette can be one of the most effective ways to quit smoking, especially when combined with face-to-face support."